HELLO & WELCOME to The Alfa Romeo Romeo Register (or maybe it should be called the Registro Romeo?). A very informal Register devoted to the preservation of the Alfa Romeo T10 "Autotutto" which was produced between 1954 & 1966, together with the Alfa Romeo A11, A12, F11 & F12 models which replaced the Romeo in 1966. I have been a Giulietta enthusiast for many years, more than I sometimes care to remember, & went on to found the Giulietta Register in 1979. From there I gradually got to know about the Romeo, little by little as there was virtually nothing published in those days. 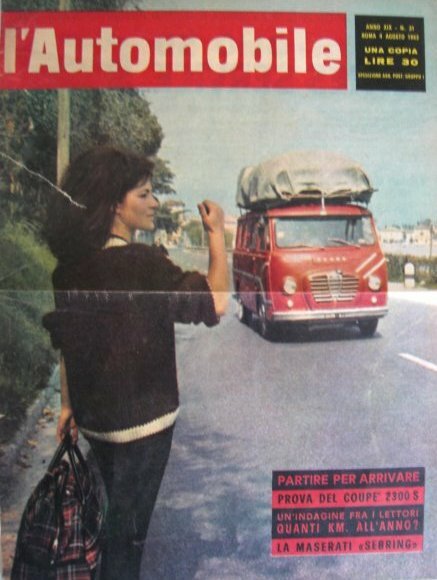 Then in 1986 I took the plunge & bought one, a 1958 Romeo 2 "Regina" autoambulanza by Colli, which I still have today. The Romeo Register is internet based, with the main purpose of spreading the word about the Romeo & letting fellow Romeo enthusiasts know that they are not alone. There will be many references throughout the website to the Romeo. In many cases these will also refer to the later A11, A12, F11 & F12 versions. If you own one of these later models, please be assured that you are not being ignored, it is just that "Romeo, A11, A12, F11 & F12" is rather a mouthfull"! You may have come across me at AlfaStop. The Romeo Register is not a commercial venture but it is sponsored by AlfaStop & e-mails etc may be processed via AlfaStop. The passion is equally strong. I do hope that you will find the Romeo Register to be interesting & I look forward to hearing about your Romeo & sharing it with other fellow Romeo enthusiasts. Don't forget to Bookmark this site & to come back again soon to see new discoveries. Website visits exceeded 1250 per month between February 2017 and February 2018. While the Romeo was excluded from the 50th anniversary celebrations of the Giulietta in Milan in 2004 (deliberately, thoughtlessly or otherwise??? ), the Romeo was acknowledged at the Alfa Romeo centenary celebrations in Milan in June 2010. P.S. I am sorry if you visited this site thinking that it was a a lonely-hearts or a contact site looking for your ideal two-legged Romeo!